air joe is proud to serve the Joliet community! We are proud to be a part of this community, serving your heating and air conditioning needs: air joe is listed in many directories under titles such as : Joliet Heating Contractors, Joliet Heating, Joliet Air Conditioning, Heating Repair, Air Conditioning Repair, Joliet Heating and Cooling Contractors, Rooftop HVAC Repair, Ductless AC Systems, Boiler Repair and Joliet Heating and Air Conditioning Contractors. We are here for you whether you need furnace or air conditioner repairs, heating and cooling estimates, equipment replacement or new installation of a furnace, air conditioner, heat pump, rooftop heating and cooling or comfort products to improve the air filtration for your home or business. About Joliet, IL - Happy to be your hometown Heating & Air Conditioning Contractor! Joliet is an Illinois city located in Kendall and Will Counties, but it serves as the county seat of Will County. As of 2010, its population was approximately 147,500, and it is one of the fastest growing cities in the state. This city is a great place to both live and work, and the largest employers include Provena Saint Joseph Medical Center, the County of Will, and the Silver Cross Hospital. The climate of the Joliet area consists of four distinctive seasons with hot and humid summers and cold, snowy winters. 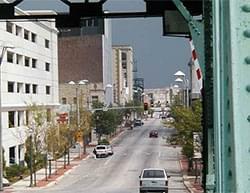 Joliet is home to a number of attractions that may interest residents and visitors to the city. People who want to press their luck might want to check out Hollywood Casino Joliet and Harrah’s Joliet to try and win some money. The Joliet Area Historical Museum is a quieter attraction that may appeal to history enthusiasts, and other popular destinations include the Chicagoland Speedway and Rialto Square Theatre.